You breathe deeply into the meditation of grounding; preparing and anchoring yourself in anticipation of entering sacred space. You step forward and cross the threshold of ritual space and pass between two drums placed on either side of you echoing the rhythm of your heartbeat. The sound moves through the space of physical ear and awakens the paths of pranic circuit that lay within the subtle fields of your being. A rush of energy moves through you and you immediately feel the core of your center respond in resonance. Vibration of rhythm and tone courses through the neural channels and every cell is enlivened by the changes taking place in you as heartbeat picks up the pace in excited anticipation of what will transpire. 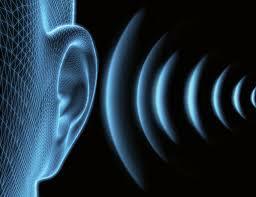 The call has been sounded and with focus and intent you have answered what ear has captured. Boom-boom, boom-boom, boom-boom, boom-boom; each dual strike syncopating the placement of one foot in front of the other carrying you into the space of magick and arriving through the Gates of Sound. Just as the eyes are often considered to be the “Doorways to the Soul”, the ears could be said to be the keys to open the sound of Life, Light and the Universe. Sound (through the modality of hearing) is the one of the byproducts and components of the energy that surrounds and gives form to all that it surrounds. Color (through the use of sight) is produced also through the varied levels of vibration. 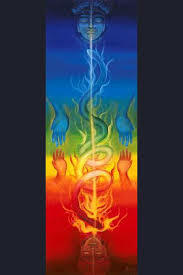 Our physical being is composed of light, color and each has their own body note or tone. It is the resonance or discord of one’s body note with another’s that can create either harmony or tension with that individual. In esoteric and spiritual practice, the sensation of hearing allows us to engage with the vibratory patterns that are continually surrounding us in a responsive way. We hear the sounds that place us in a contemplative state. We hear the sounds that bring us to a space of the ecstatic. We hear the words spoken in love, devotion, anger and fear and we immediately react in accord with how those sounds have stirred our energetic flow. Hearing clearly brings us to a state of understanding and holding the space of silence allows the Divine flow of vibration to move through us as we hear the sounds of the Universe. Scientific research has proven that hearing is one of the senses that develops first in a fetus as new life grows within the Mother’s womb. As soon to be parents, we are encouraged to talk to, play music for and generally maintain a soothing auditory environment for our baby while in utero. 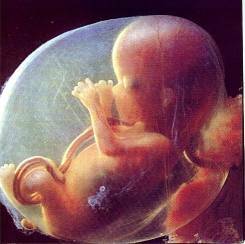 The interesting aspect to this is that the growing fetus is still nearest to the original state of being an infinite life force of cells and energy before this new life is brought into the physical manifest world. Why then would we not imagine that sound (as vibration) plays an instrumental part in spiritual practice and has the potential of allowing us to re-member that state of vibrational being? Music and the organized patterns and structure of tones and sound have always been key components in spiritual practice. Even in the practice of silence, there is inherently a “sound”, albeit inaudible that is produced. It is for this reason that certain chants and certain forms of music have been used continually. def. A sacred verbal formula repeated in prayer, meditation, or incantation, such as an invocation of a god, a magic spell, or a syllable or portion of scripture containing mystical potentialities. A saying from the Vedas claims that “Speech is the essence of humanity.” All of what humanity thinks and ultimately becomes is determined by the expression of ideas and actions through speech and its derivative, writing. Everything, the Vedas maintain, comes into being through speech. Ideas remain un-actualized until they are created through the power of speech. Similarly, The New Testament, Gospel of John, starts “In the beginning was The Word. And the Word was with God and the Word was God…” In mainstream Vedic practices, most Buddhist techniques and classical Hinduism, mantra is viewed as a necessity for spiritual advancement and high attainment. Mantras catalyze a powerful vibration which corresponds to both a specific spiritual energy frequency and a state of consciousness in seed form. Over time, the mantra process begins to override all of the other smaller vibrations, which eventually become absorbed by the mantra. After a length of time, which varies from individual to individual, the great wave of the mantra stills all other vibrations. Ultimately, the mantra produces a state where the organism vibrates at the rate completely in tune with the energy and spiritual state represented by and contained within the mantra. At this point, a change of being occurs in the organism. The organism becomes subtly different. The general effect is one of resonance; where the vibration of the practitioner moves in accord with the varying vibratory energies surrounding him/her; thus gaining access to more refined realms of consciousness. This mantra is spoken aloud or silently to invoke the blessings of Chenrezig, the embodiment of compassion. 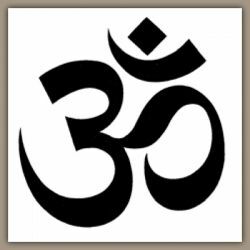 Another of the most widely used chants or mantrams is that of “OM”. It is in fact so widely used that many spiritual paths consider this seed sound to contain all the resonance of the universe in in stages of creation. Composed of three sounds- A, U, M its vibrational structure is transformative to the individual as well; changing and refining the energetic pattern of those who consciously and routinely chant it. Continued and sustained toning of “OM” regulates the breathing patterns and once attunement to the vibrations of the sound is achieved, the sound, the practitioner and the surroundings all become one- breathing and toning in union. 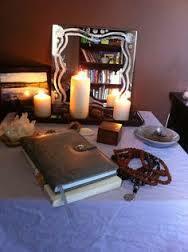 In our coven practice we routinely tone Om as the final expression of the working we have set into motion. It is a way of sending this energy out into the greater Universe to be acted upon and realized. Try toning “OM” as you sit in meditative practice and allow its energy to move through you calming and joining in resonance all parts of the self. Shamanic drumming uses a repetitive rhythm that begins slowly and then gradually builds in intensity to a tempo of three to seven beats per second. 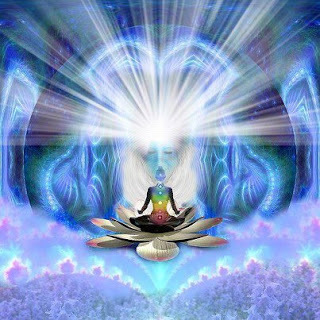 The ascending tempo will induce light to deep trance states, and facilitate the shamanic techniques of journeying, shapeshifting, and divination. Practitioners may progress through a series of trance states until they reach the level that is necessary for healing to occur. When ready to exit the trance state, the practitioner simply slows the tempo of drumming, drawing consciousness back to normal. Shamanic drumming continues to offer today what it has offered for thousands of years: namely, a simple and effective technique of ecstasy. “Of course, the ability of sound to induce meditative states was well known thousands of years ago to ancient Hindu and Buddhist cultures, which used rhythmic chanting, singing bowls, finger chimes and other methods to transcend ordinary consciousness, as well. 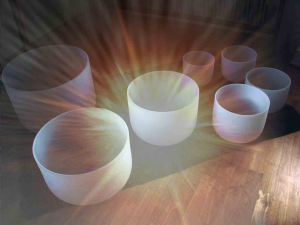 Drumming, by combining the vibrational tones of meditation and the 180-cycles-per-second beat approximating the base resonant frequency of the Earth itself, thus, becomes not only a powerful meditation tool, but a way to tap into our psychic inner ability to travel over vast distances, effect cures, and know — and affect — the future. The physiological effects of sound, particularly regarding altered states, have also been well documented, shown to produce alpha, beta, and theta (psychic) states in the brain.” 1. Mitchell L. Gaynor, M.D., Sounds of Healing: A Physician Reveals the Therapeutic Power of Sound, Voice and Music, Broadway Books; New York; 1999). The above is my experience of sound flowing through ritual. We carefully select the appropriate chants to raise the needed energy and thought and care is given not only to the words, but the rhythm and emotional response that will be evoked to stimulate the flow of energy. Sound in all of its forms, from the resonance of foot on carpet (floor or ground) to the overt sounds of chanting and drumming. The sound of air moving through lungs and the co-mingling of that breath within a space primed for magick contributes to the signature of sound within ritual space. I have for many years now used sound as a tool of choice in many of my workshops. I have tested its efficacy and effect for myself and have had confirmation by those attending regarding the shift in the room’s energy and their personal state of readiness as a singing bowl or drum was being played. Hearing the sound of a bell rung or the singing bowl sets the tone for the class and opens the participant to a deeper level of hearing the information to be shared. Some of this sound is structured as formal music, but most is reliant on the tones and rate of vibration of those individual notes in shifting consciousness and subtle body response. 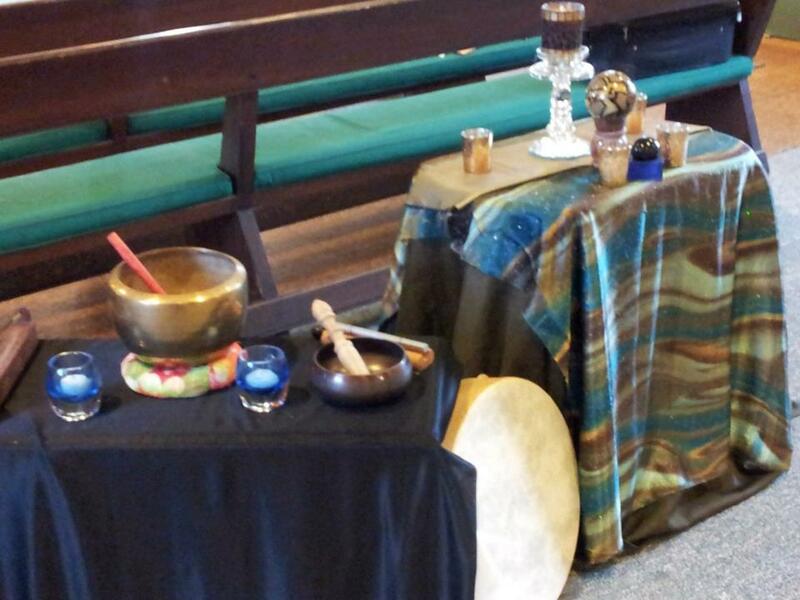 A singing bowl will generally elevate the vibratory rate being higher in pitch and more ephemeral in quality of tone. Using the drum draws the energy in the earth and the space of long notes of reverberation. 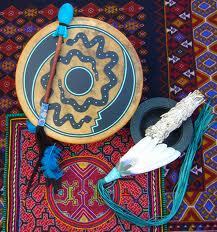 Rattles tend to agitate or stir the vibrations and energize. I have a sistrum that I particularly like to use and although to some it is very annoying the original intent of this Egyptian instrument was to clear the space of stagnant and cloying energy. The sound is much like a shortened syncopation of a tambourine. And, the sound of simply breathing can produce the same effects as any other instrument. Listening to the inspiration and exhalation as air passes through nose and fills the lungs; the pause of silent hold before the woosh of exhale and gentle pause of respite before the next cycle begins is the music of life. Repeating this pattern, as is done in most meditative practices to begin, sets up a specific pattern of vibration that gently fades into the background of our hearing as we enter our own inner domain. You can practice this type of hearing using a Four-Fold Breath exercise. This is an exercise meant to heighten your awareness of the subtle (and not so subtle) sounds of sacred space. This could be your space of meditation, a ritual you are attending or any space that you routinely perform your magick and spiritual work in. If you attend a Yoga class, this is a great exercise to employ since breath and the movement of joint and muscle make wonderful sounds as they support the physical work. 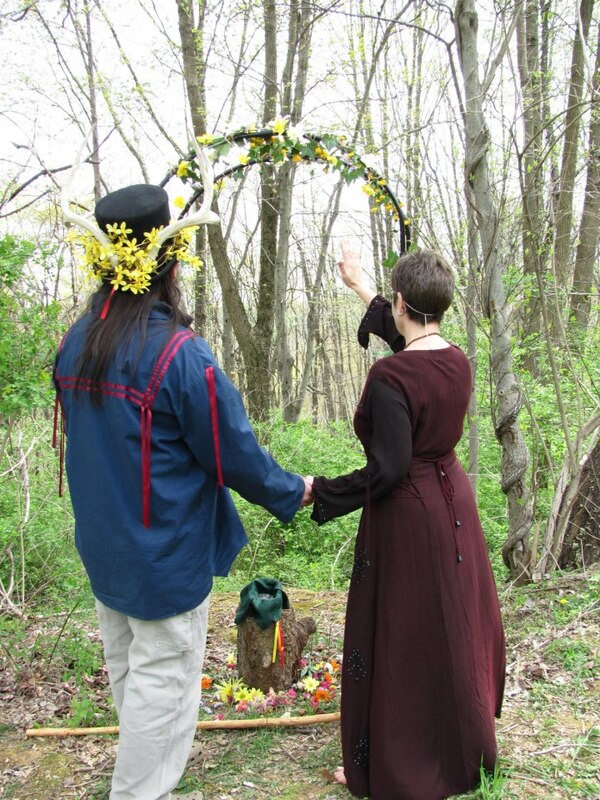 If there is a ritual you have access to attend, make note of how sound has been woven into the ritual. Afterwards, journal the highlights of what you remember and how you felt as you experienced and participated in its creation. You may also do this as part of a meditative session. This space is in essence your sacred space and offer up the intent to become aware of the effects and dynamics experienced as you chant, breathe and move into your meditation. Take into account the sounds made as you prepare; meaning the sound of you sitting down, any candles or other tools that you may place as part of setting up the space; the lighting of a candle or any other. Awareness of the impact of sound in our ritual and sacred experience opens new pathways of energetic resonance and exploration. Learning to breathe deeply into these new inroads and expanding them as needed also brings a heightened awareness of your own place as vibration of sound within the framework of sacred structure. You are part of the structure created and also distinctly unique in your own energetic signature of contributing sound to it. Our spiritual work relies on our physical and subtle states of being working co-creatively and collaboratively. We engage the senses in this work continually, but rarely give equal importance to them all. The sense of sight is commanded into presence through practice of visualization techniques. Sound is stimulated with drumming, chanting and toning. 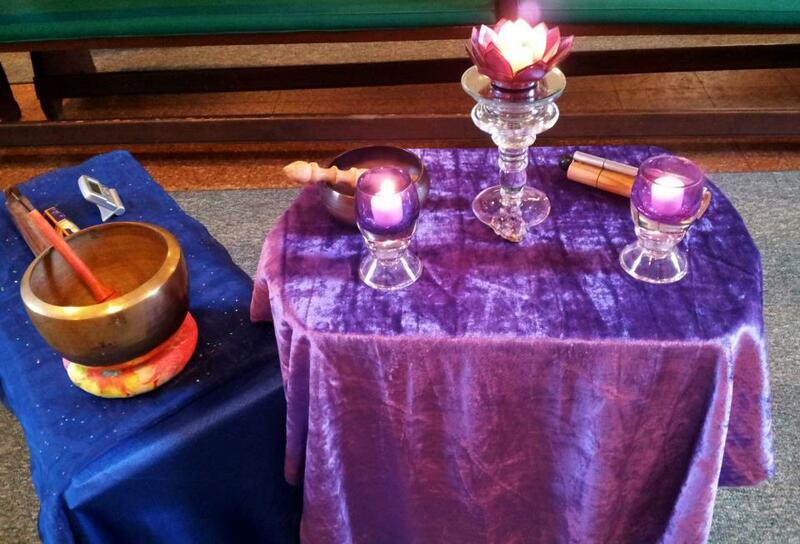 Touch is engaged as we handle tools, light candles, and more. The sense of taste is only accessed as a means of grounding with cakes and ale. And, we are alerted to awareness and being fully present in ritual space or meditative practice as the heady scent of incense and oils purify and set the stage for the work at hand. There will be collaborative posts speaking to the Physical experience of each of the senses in the Magickally Human Blog. This entry was posted in The Five Senses and tagged auditory, energetic body, energy practice, Five senses, hearing, magickally human, Mantra, meditation, Om, ritual, sound, the Divine human. Bookmark the permalink.